New remastered expanded edition. 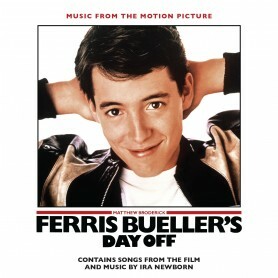 Over 70 minutes of music. 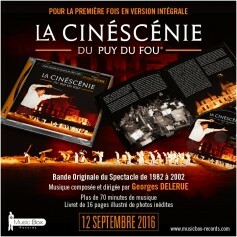 16-page CD booklet with French and English liner notes by Florent Groult. 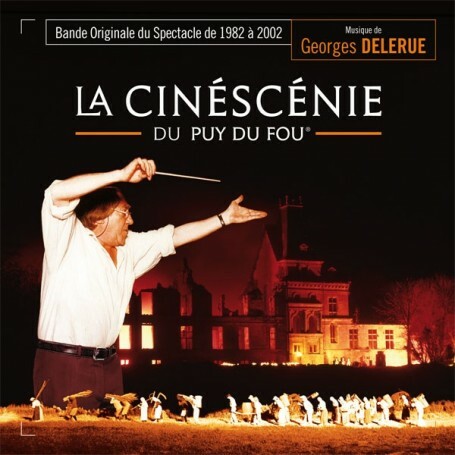 In collaboration with the Grand Parc du Puy du Fou and Colette Delerue, Music Box Records is very proud to present on CD the complete soundtrack for the spectacular night-time sound and light show La Cinéscénie du Puy du Fou (1982-2002) composed by Georges Delerue. 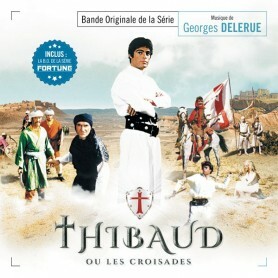 The show was composed of a huge series of choreographed scenes evoking the history of the Vendée region in Western France and its inhabitants over 700 years, from the Middle Ages to the early 20th Century, relating the fantasized and idealized fate of the Maupilliers, a rural family that has actually existed. The park is a model of cultural success and financial independence, and has been awarded several prizes, among which a Thea Classic Award for Best Park in Los Angeles in 2012 and an Applause Award in Orlando in 2014. 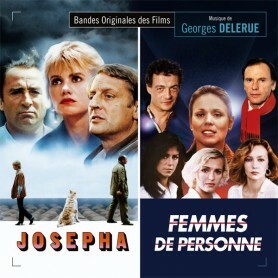 The visitors to Le Puy du Fou in Vendée could admire Georges Delerue's magnificent music between 1982 and 2002. As this epic saga spread over several centuries, it allowed the composer to explore different musical styles. 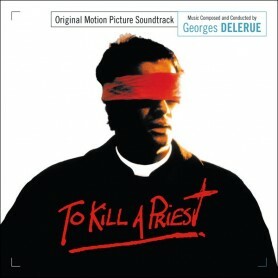 It goes without saying that Georges Delerue's creation was a perfect display of his knowledge of ''period'' music. 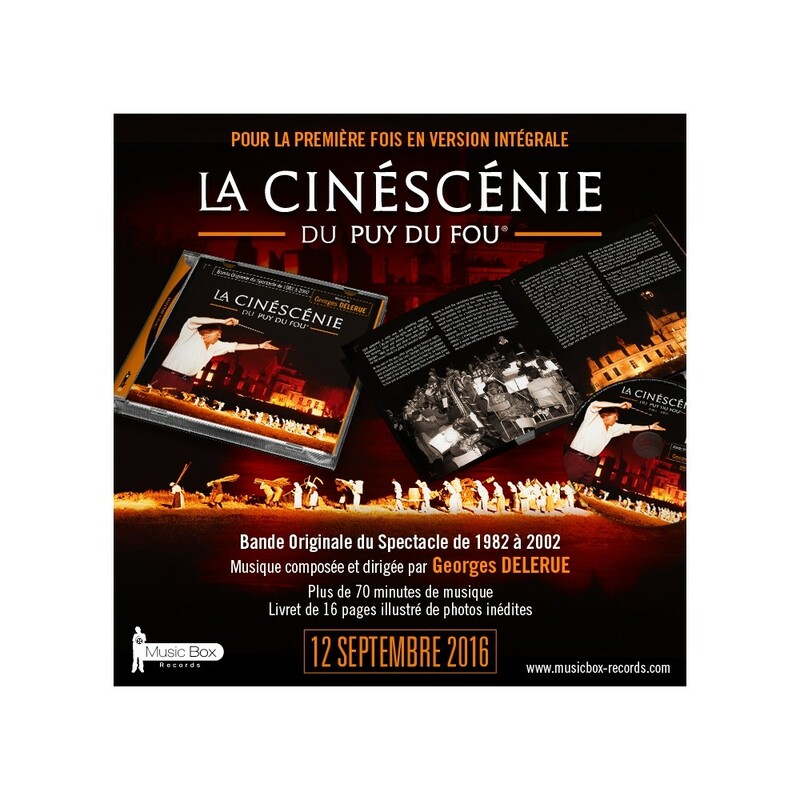 This CD release is itself intended as an experience that will allow everyone to relish the evocative power of this inspired score that has entranced for twenty years each and every spectator of the Cinéscénie du Puy du Fou. 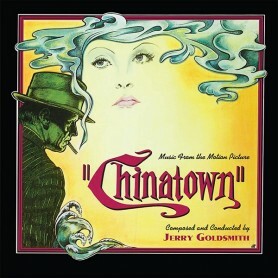 From the merriest scene to the most tragic episode, it expresses the whole scope of the quintessence of Georges Delerue’s musical talent: colorful music for full orchestra and chorus with composer's trademark melancholy string gift, gorgeous musical portrait in finest historical idiom, Regal fanfares, flavorful period dances and festivity scenes, disturbing strings suspense, aggressive drama with powerful brass and choir, tuneful melodies for flute over strings, harp, accordion and choral majesty... 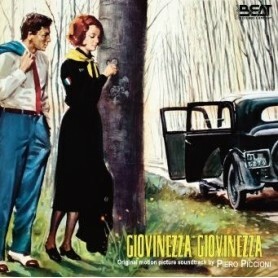 The music is pure Delerue at his very best. To mark its 100th CD album and to celebrate its 5th anniversary in 2016, Music Box Records is very delighted to present this complete presentation of one of the most prestigious scores composed and conducted by Georges Delerue, one of our beloved French composers. 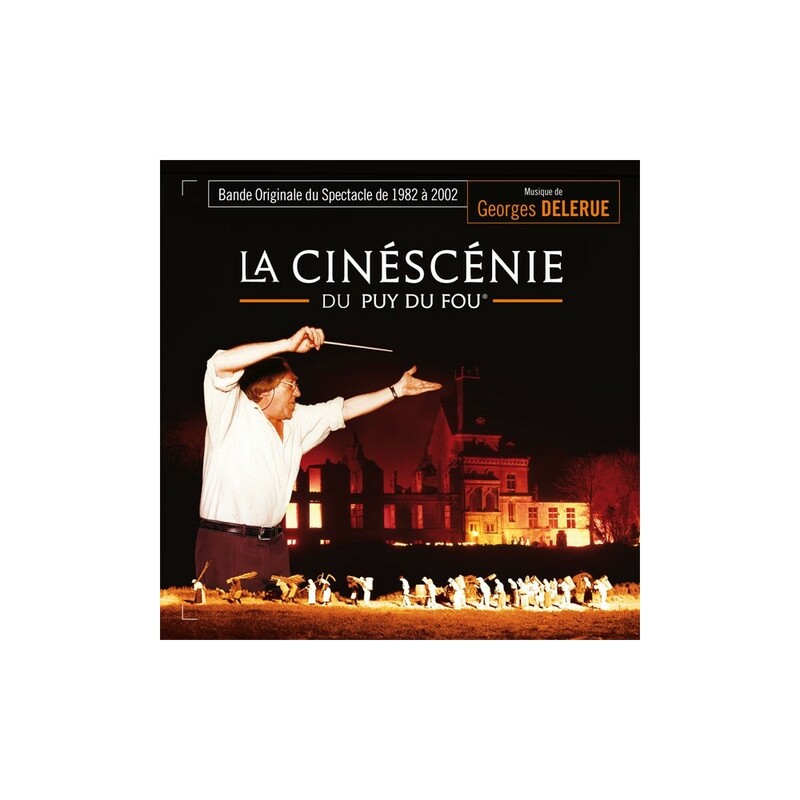 This present edition has been fully remastered from the original master tapes and features all the music written by the composer (without the narration). The package includes a 16-page booklet with pictures of recording sessions and liner notes by Florent Groult, discussing the creation of the famous historical theme park and the music.